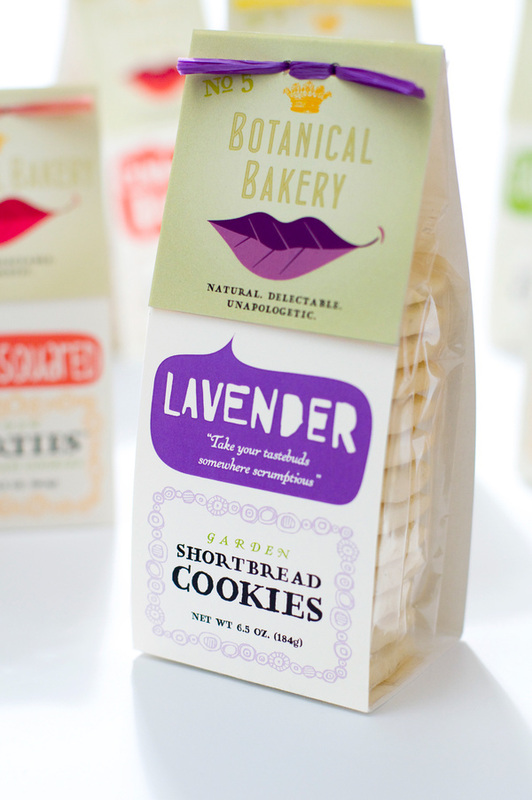 A complete brand makeover for a Napa Valley-based company specializing in gourmet shortbread cookies... The "lips" say it all. If cliches are eating away at your brand's elevation in the marketplace, suffer no more. Call 715-235-9040 to eliminate the #1 killer of your brand's mojo. Ask for David. He's a native New Yorker. He has great stories to share. 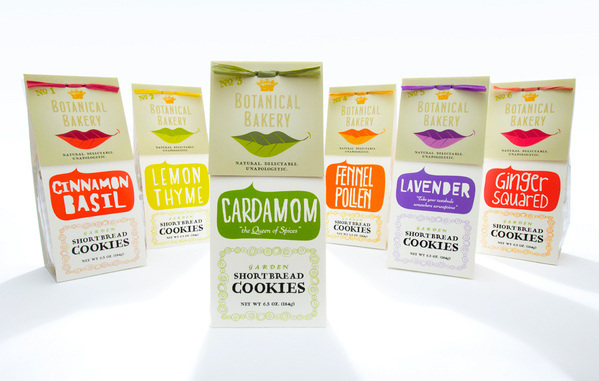 Beautiful illustration work and overall package design for Botanical Bakery shortbread cookies, designed by DBD International. 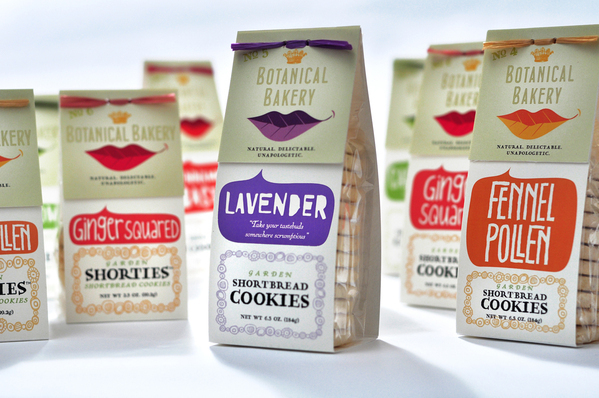 Botanical Bakery has completed an incredible rebrand with the help of DBD International. They've slyly used the implied lips from the logo to playfully give the product title a sense of action, each in their own colorful voice bubble. The design is whimsically bohemian, mixing vibrant hand drawn art elements with sophisticated typography. But the real brilliance is that the design is fully dependent upon you seeing and interpreting their new logo. And when you are re-branding, any additional looks at the logo are like coins in the meter of the customer's mind. I would buy just because the packaging is super awesome. Awesome packaging, really is perfect to attract the consumers. Most original use of the leaf image I’ve seen in a long time. I think I just fell in love. With a packaging! 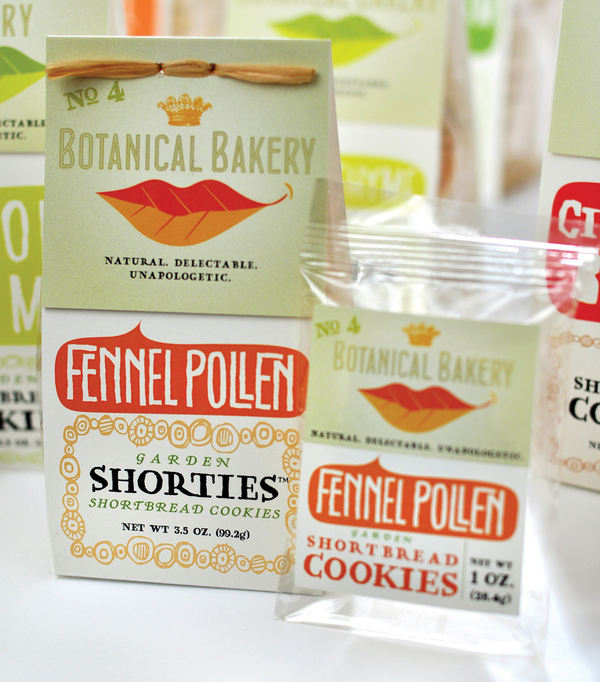 Hand-drawn elements, awesome type and an adorable logo that's also clever... check, check and check! 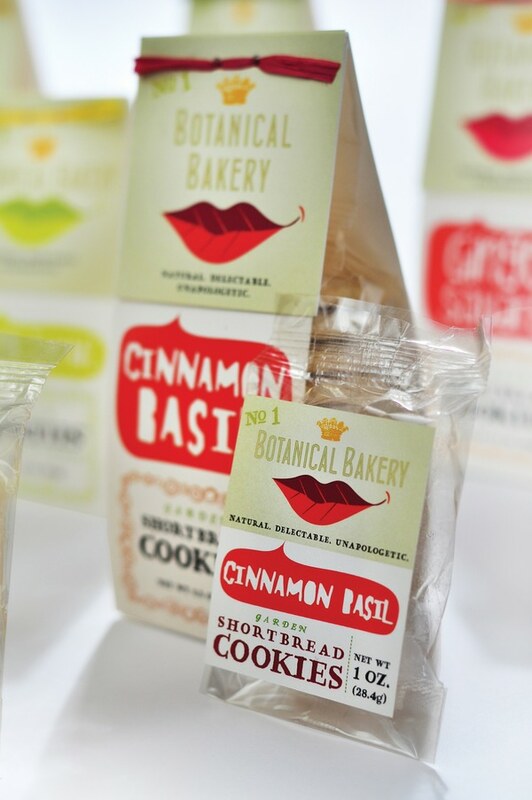 I adore this packaging for Botanical Bakery by DBD International in Wisconsin. 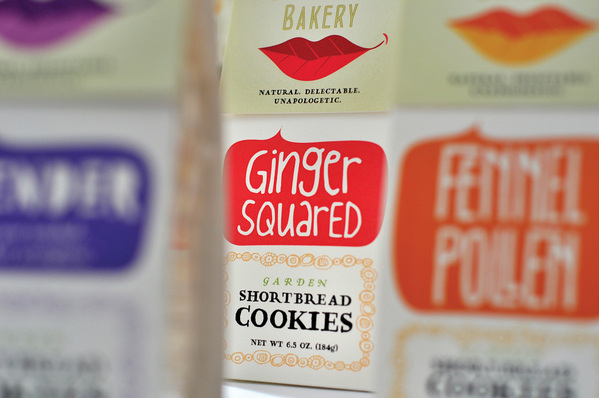 Forget about the cookies, I love this packaging! I like the doodles, the thought bubbles, the leaves that look like lips, color palette and packaging format. GOOD STUFF!